Thank you, Toledo, for all of your support at Barefoot at the Beach 2018! Critical funds were raised to support Boys & Girls Clubs of Toledo, our four locations and the nearly 5,500 Toledo youth served at the Clubs every single year. 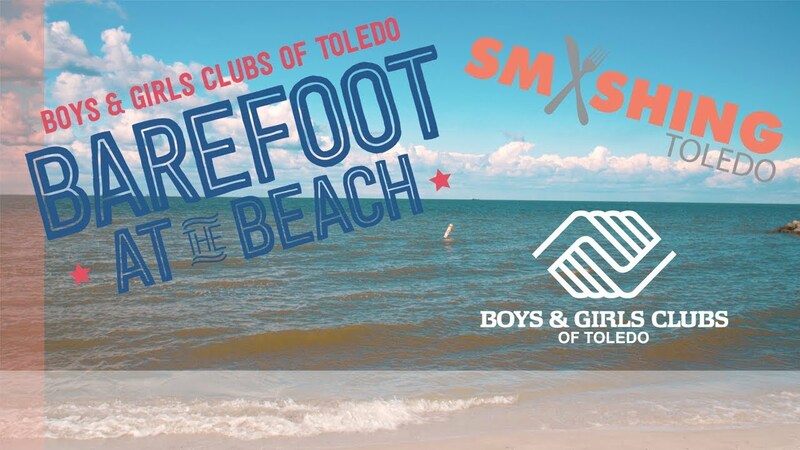 As one of the largest fundraisers in Toledo, the Barefoot at the Beach event raises money to support the mission of the Boys & Girls Clubs of Toledo and its programs in the city. This one-of-a-kind event unfolds on a relaxing summer evening on the beach. Barefoot at the Beach is a unique opportunity for your company and its employees to support the Clubs and have fun doing it! The format of Barefoot is really quite simple. Held in August every year, it is a casual beach party anchored on the beaches of Lake Erie at Maumee Bay State Park. Barefoot at the Beach is a excellent opportunity to get involved in the community by supporting a great organization that helps kids. Come on out and mingle with the rest of our supporters, get your feet wet, or just a little sand between your toes and help us to support our kids! Video generously done by Smashing Toledo!